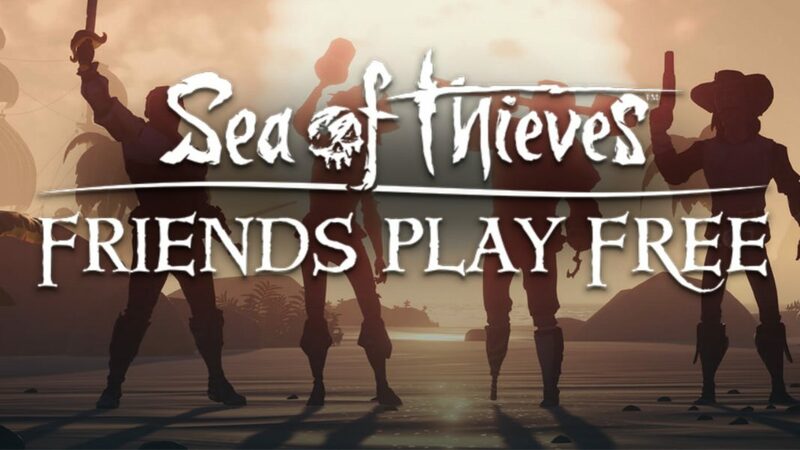 If your mates continue to pester you to play Sea of Thieves with them, but you aren’t keen on buying the co-operative multiplayer title, Microsoft is making it free-to-play for the next week. More specifically the free status kicks off at 16:00 local time today (6th February) until the 13th. There is, however, one catch as the title will be invite-only if you want to access it for free. That means that any gamer who has played it via a Game Pass subscription can invite to three other people to join them on the virtual high seas. Along with making Sea of Thieves free for the next week, Microsoft will adding a mission to the mix, that will be only accessible during the same free-to-play period. The mission is some kind of Mercenary Voyage, and involves finding Duke in a tavern somewhere on the map. Should you be won over by Sea of Thieves enough to purchase it, developer Rare is also marking the game down by 35 percent when purchased digitally on the digital PC and Xbox One stores until 27th February. With Sea of Thieves a lot of fun under the right circumstances, it’s definitely worth checking out if a friend chooses to invite you, especially as it’s free at the moment. The community around the game is certainly still keen on the title, especially one maker who 3D printed all the Bounty Skulls you can get.